Convert CGM to PDF and get a neat output! You are here: CoolUtils > Total CAD Converter > Convert CGM to PDF and get a neat output! 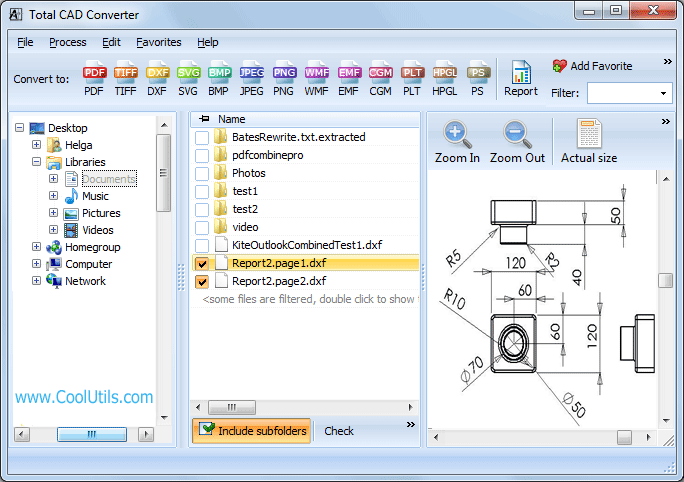 Total CAD Converter is a unique tool intended for rendering graphic design files including CGM in PDF and other formats. Due to ease of use and availability, many designers and other IT professionals have made buddies with Total CAD Converter. PDF can describe all sorts of graphic information. Nearly all graphic design information files, including CGM files, are eventually saved in PDF. CGM is a high resolution format. What it is really good for is designing and editing projects or, to be exact, their graphic representations. Due to its large size, CGM is not easily transferred over the web. 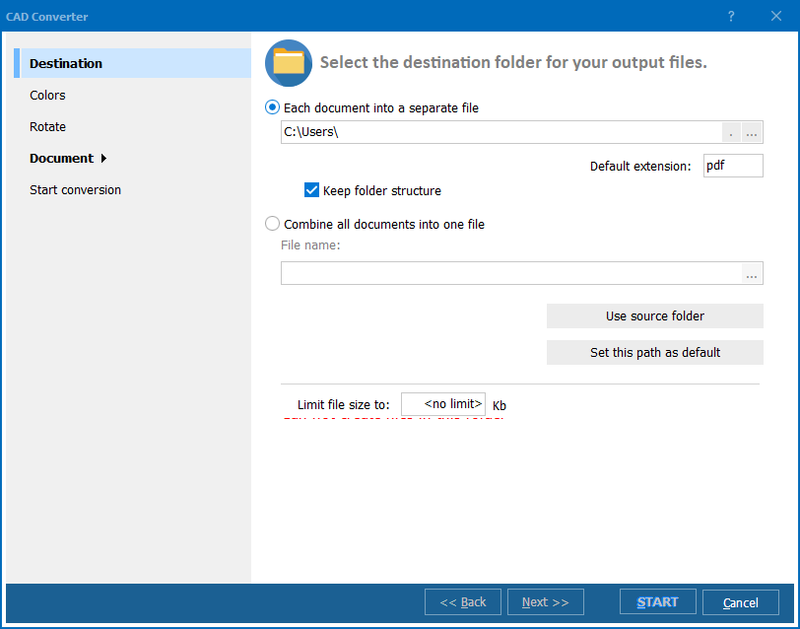 Therefore, when you have finished your project in CGM, it is advisable for you to save it in PDF for an easy transfer. 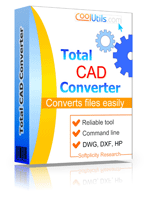 Total CAD Converter has an intuitive interface and a versatile wizard that guides you through the entire conversion process. Therefore, you don’t have to be a software connoisseur to convert your CGM files to PDF. All you have to do is click buttons and follow the wizard’s recommendations! With Total CAD Converter, you can resize your CGM files. Batch conversion mode permits you to render hundreds of CGM files in the PDF format in a flash of time. 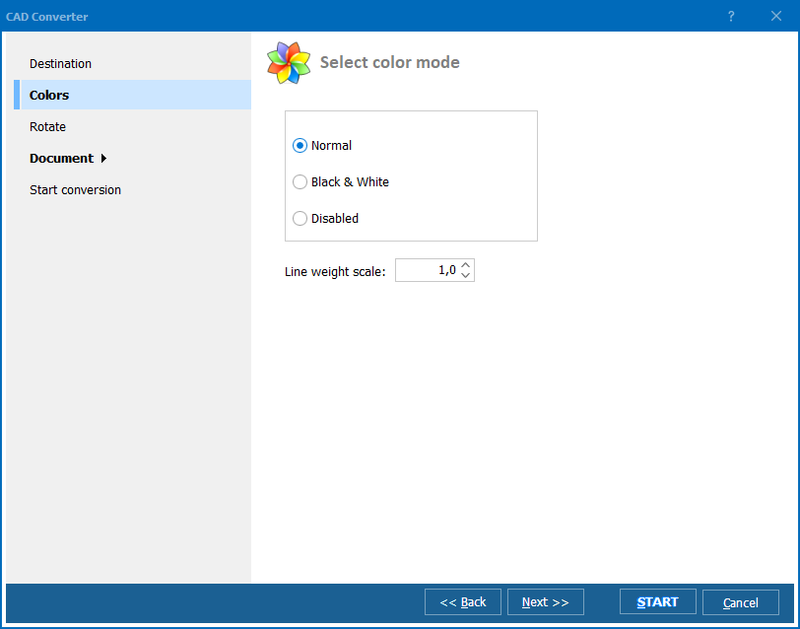 Because the program integrates into the right-button menu, you can conveniently manage your CGM files from the desktop. The command line option enables you to launch the program from within other applications. If you are not sure yet, please, download the free version of the tool and enjoy it for 30 days. It will take you far ahead in your business over a short period of time. You will almost certainly want to purchase the registered version later! Why Convert CGM to PDF? PDF (Portable Document Format) is an image format intended for cross-platform use and therefore compatible with any system and any application. PDF files can contain all sorts of graphic information. They can contain large numbers of pages, which can be split and combined in various fashions. The format’s versatility, ease of online transfer and unique security features have contributed to its booming popularity over the past few years. CGM (Computer Graphics Metafile) is a file format that is defined by ISO/IEC 8632. This is usually a 2D vector graphics, raster graphics and text file that provides an instrument for data interchange, which makes it compatible with all systems, applications, platforms, etc. Graphical elements are represented in a textual source file. These elements can be combined into a binary file or just one text representation.